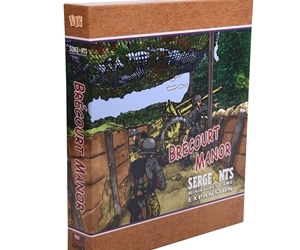 With this latest expansion for Day of Days, Brécourt Manor lets you recreate exciting battles - from overrunning enemy artillery guns, to weaving your forces in and around trench-lines and even storming Brécourt Manor itself, in fast paced scenarios. 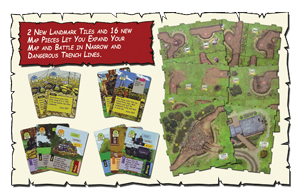 The all new Landmark tiles and 16 variable trench map squares give more flexibility for building your own maps and stories. 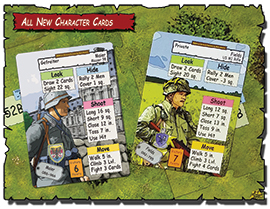 New Order cards featuring multiple objectives for more team oriented style gameplay and also including specialist trained characters Pvt. Fields (Infiltration Tactics) and Gef. 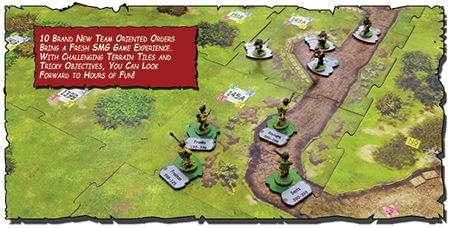 Maier (Assault Tactics) for even more versatility!